Please check #59 and Like & Rate it! 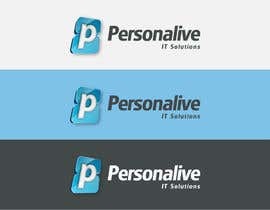 change the name to Personalive IT Solutions, i dont want to use tag line any more. bring IT solutions underneath the name Personalive so that means i only want to highlight the main name of org in the logo. By far # 39 is my favorite. Try and be better then that. Also I would like to see the logo in different background, like Black background/ white background/ or pastel blue background.